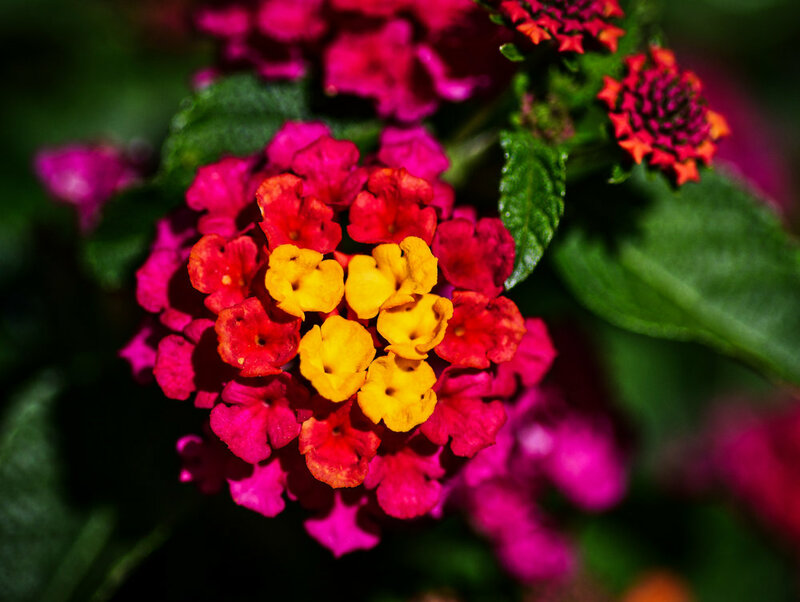 The Lantana is vigorous and blooming nicely. And rabbit resistant! Next year I will plant them on the back portal. There is not an adobe wall protecting the back garden. The photos are shot with a Tokina 100mm f/2.8 AT-X M100 AF Pro D Macro on a Nikon D500. I am continuing to experiment with the Tokina.